One of the many ways we support the Multiple Intelligence Theory, constructed by Howard Gardner, is by offering electives to ALL students at every grade level. We firmly believe that study in non-core subjects not only helps develop a whole-child approach to learning, but also improves the child's incorporation of foundations in core subjects as well. For instance, national studies have proven the study of music promotes better understanding of mathematics. 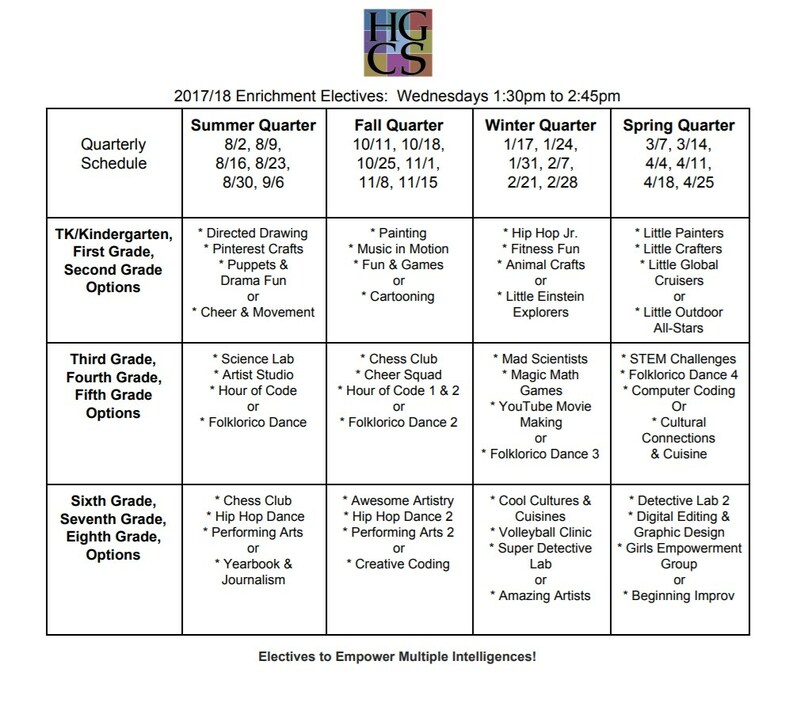 Our ELECTIVE content changes during the school year, and students are encouraged to try a variety of electives. For a list of what has been offered this year, and what is currently in progress, click the image on the right side of the page.